Part I of this con report can be found here. If you don't know who Mike, Joe, Lena and I are, read that first. Parts III through V are forthcoming. Friday morning, we slept in a bit, and actually experienced a few hours of down time. 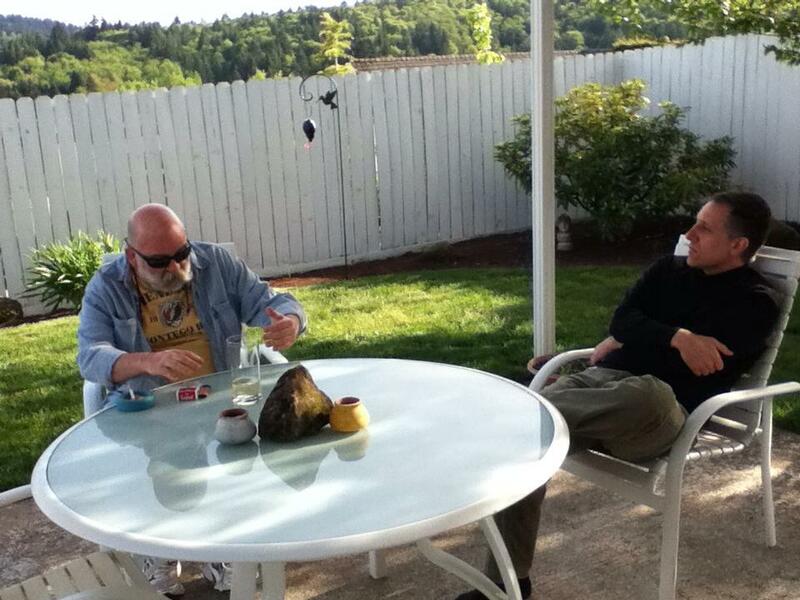 We lounged around the house and enjoyed some great weather in the back yard. When it was time to head down to the Hollywood district for events, we left a bit early to give us time to check Mike Davis into his con-provided hotel room at the Banfield, where most of the guests were booked. There was yet another SNAFU at the hotel, and no room available for Mike. We said "no thanks!" to the Banfield, and told Mike it was better all around if he just continued staying with us instead. 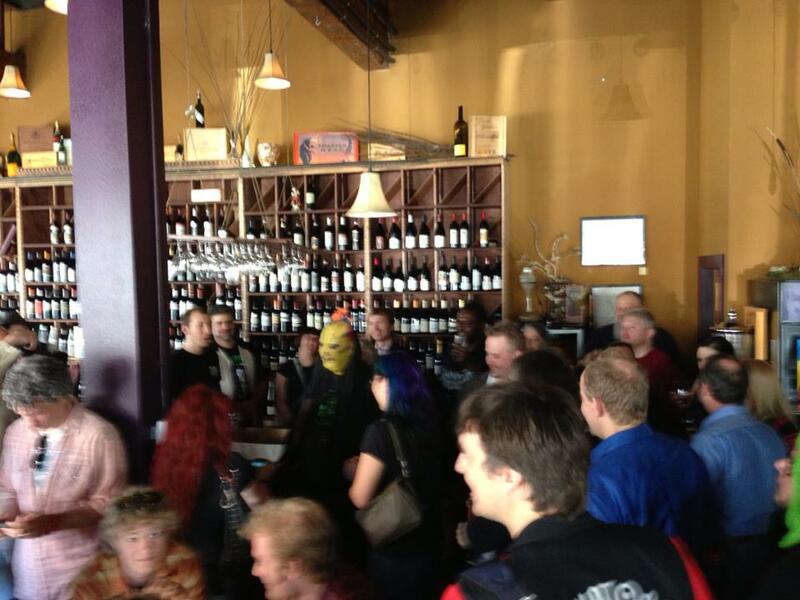 The first truly "official" event of the HPL Film Fest was the VIP Party, Friday afternoon at 3PM. Admission was restricted to festival guests, and a few non-guest ticket-holders who pledged at higher levels on the festival Kickstarter. The VIP party started things off across the street from the theater, at a little wine bar and bistro called Magnolia's Corner. When I snapped the above picture, the guy (whom I don't know) in the Cthulhu mask started moving out of the picture, and taking off his mask. 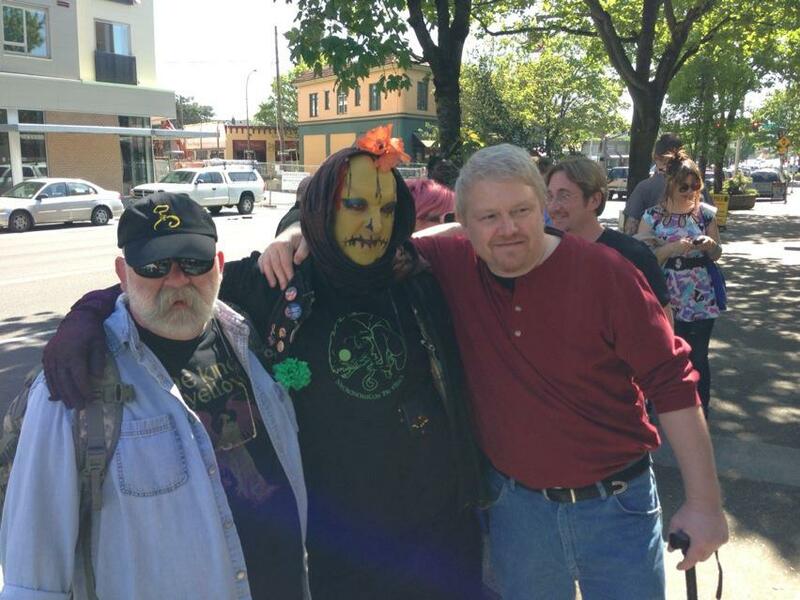 I told him, "Dude, you're in a Cthulhu mask -- you don't have to get out of the picture!" So he pulled the mask back on, and moved back into the frame. Also in the picture, Joe Pulver talking to Edward Morris, and on the bench behind, Wilum Pugmire. 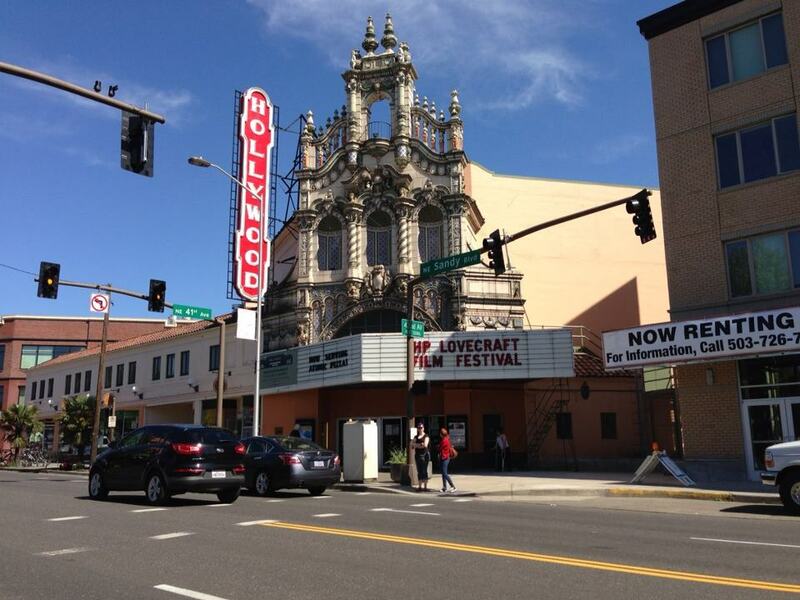 Here's Portland's historic Hollywood Theater, site of the HP Lovecraft Film Festival, before activities begin. 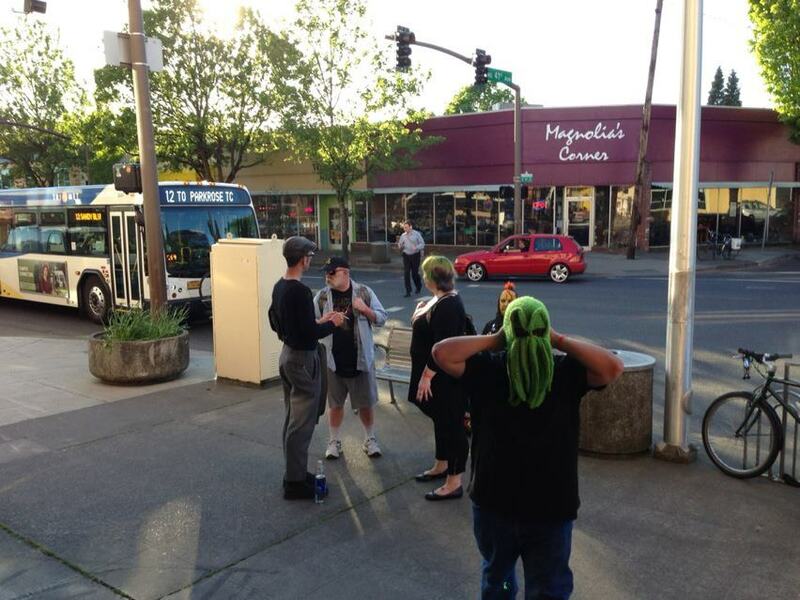 We waited outside briefly, which gave us a chance to figure out who's who, and shake a few hands. I briefly met writer and editor Orrin Grey, whom I didn't recognize at first despite being Facebook and Livejournal friends. He's one of those sneaky people who doesn't post a lot of pictures of himself! He edited the Fungi anthology I recently reviewed here, and has a recent story collection Never Bet the Devil I really want to check out. I also spoke with filmmaker and musician Mars Homeworld. He's best known for scoring a number of Lovecraftian films, including the excellent and apparently out-of-print documentary, Lovecraft: Fear of the Unknown. Mars also directed Transcendent, scheduled to show at this year's fest. Here Joe Pulver, Wilum Pugmire and Mike Davis wait to get into VIP party. Between Mike and Wilum's heads, you can see the pink hair of Rose O'Keefe of Eraserhead Press, and over Mike's other shoulder, that's illustrator Mike Dubisch, who is often but not exclusively seen in Strange Aeons Magazine. Behind Mike Dubisch, that's writer Camille Alexa. Here's a Dubsisch cover for Strange Aeons issue #10 (which I picked up at the con, signed by Mike) to give you a taste of the awesome! Inside the VIP party was a great chance to get everyone together in proximity, without distractions or obligations like panels, readings and film screenings. 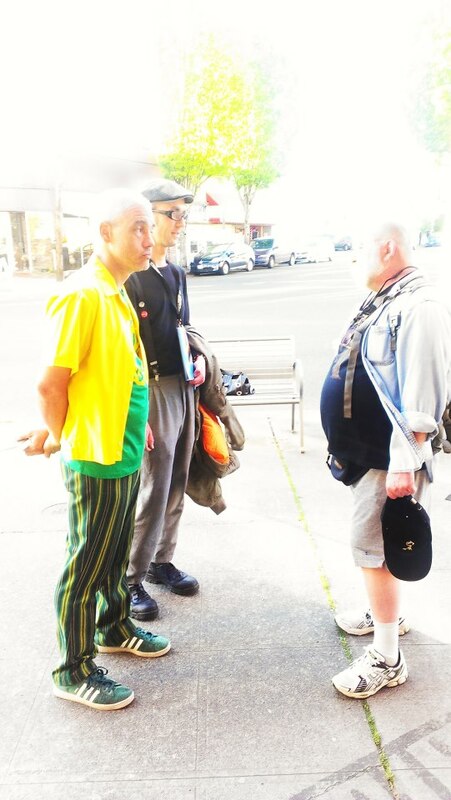 We had a chance to reconnect with people we knew, go up and shake hands with people we hadn't previously met, and introduce each other around. I was able to enjoy a few minutes with artist Lee Moyer, who is not only insanely talented, but also very knowledgable and informative on a thousand art-related topics (read his blog if you don't believe me), and a super-nice guy as well. I teased him a little about losing to Nick Gucker in last year's Pickman's Apprentice art challenge, figuring a guy as accomplished as Lee could take a bit of needling. His credits are far too numerous to list or link here, but Lee's art can be found on book covers (Kiernan! ), calendars, video covers and games. Lena and I had a great time with the fantastic writer and renowned tippler Molly Tanzer. Molly lives in Boulder, Colorado, an area known for its mountainous landscape, and the prevalence of an active, outdoorsy lifestyle among its residents. Lena and I are very much into hiking, running and mountain exploration, so we told Molly if she stuck around in Portland an extra day at next year's HPLFF, we'd take her up to Mt. Hood. We had in mind something like hiking and sightseeing. "No, not hiking!" Molly said. Molly doesn't want to walk on trails. Molly wants to climb to the very top. Molly wants to conquer! "It's only, what, 11,000 feet?" By Boulder standards, barely a tiny hill. We also spent a few minutes with yet another super-talented and unbelievably nice artist, Nick Gucker. 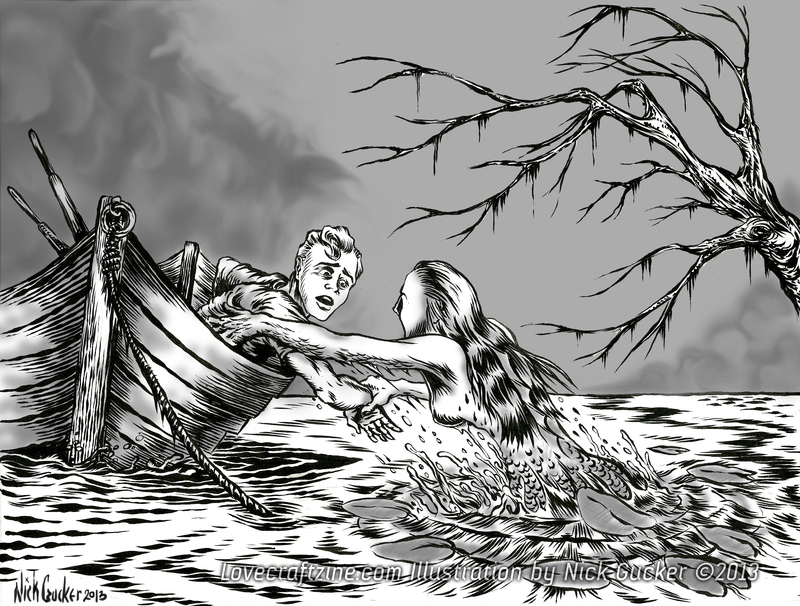 Nick has always been an excellent fellow, but since he recently illustrated my story "Nectar of Strange Lips" for Lovecraft eZine's April 2013 issue, I've raised Nick a further notch in my estimation. Truly among the all-time great, friendly and cool guys! I feel like a broken record, describing people over and over as "wonderfully nice, friendly, also insanely talented," but it happens to be true in so many cases, with such a large segment of people one encounters at this event. Interestingly, the writers, artists and editors mostly seem to all know each other, because they come back year after year. Some filmmakers attend often, but many seem to show up for just one year when their film screens, and don't know anybody outside their immediate group. Here, the VIP party crowd sings Happy Birthday to Wilum Pugmire. Wilum was presented with a Cthulhu-themed green cake. Pictures exist all over Facebook, but I didn't see it until it was mostly eaten. Drinks and snacks were provided. Even after snacks, we were still hungry, so went to Columbia River Brewing. It's a very good local brewpub, conveniently located a block from the theater, with lots of seating and a diverse menu. We ate here five times in three days. In the lead-up to the opening ceremony, as well as between events in the theater, the projectors displayed a digital slide show of book covers, magazine covers and other art pertaining to festival guests. 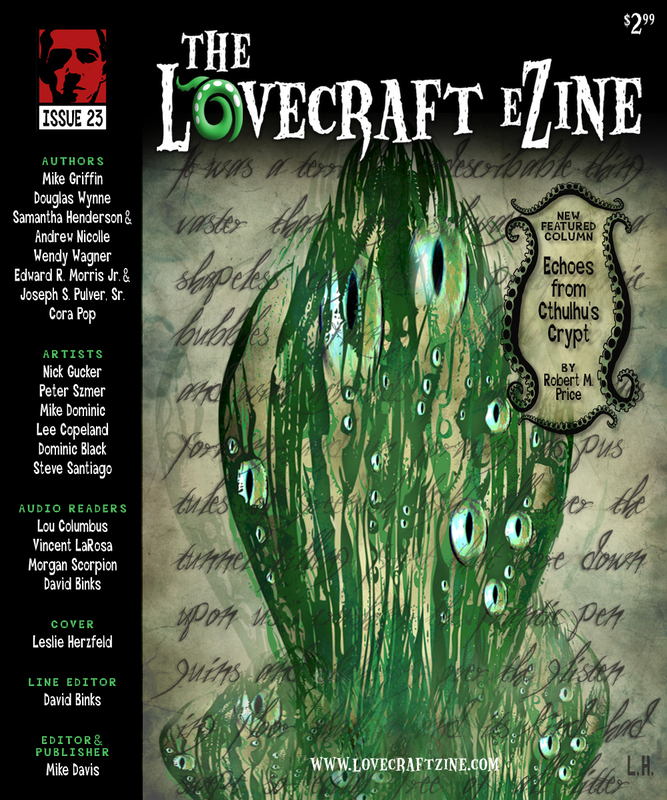 It was fun to see a few items relevant to us, projected large: the cover of Mike's magazine Lovecraft eZine, the issue with my story in it, plus a story by Joe and Edward Morris, as well as writer Wendy Wagner who was also in attendance, with all our names on the cover. Lovecraft eZine cover artist and logo designer Leslie Herzfeld was also at the fest... so fully a half-dozen of us, all located in different places in the theater, must have said "Hey, cool, look!" when that cover image flashed on the screen. 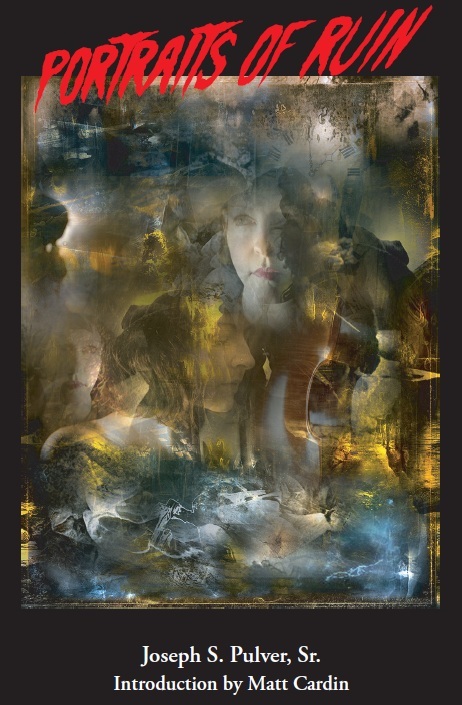 There was a second promo for Lovecraft eZine, and also the cover of Joe's book Portraits of Ruin, which includes a photo of Lena (taken by me) integrated into the collage art piece by Joe's friend, artist J. Karl Bogartte. In the brief video Mike Davis shot, Lena can be heard saying (when the Portraits of Ruin cover flashed on the screen) something like, "Look how big my face is!" That comes about midway through this clip. Before that, you can see my cool red pants as Mike follows us up the ramp. After this brief introduction, we watched Shorts Block One. The short films are collected into blocks of less than 2 hours. Usually Block One is kind of a featured event, taking place after opening ceremonies in the big main theater. The first film in this block, a Swedish-made short called Reset, was my favorite, and seemed to be the favorite of everyone I spoke to. 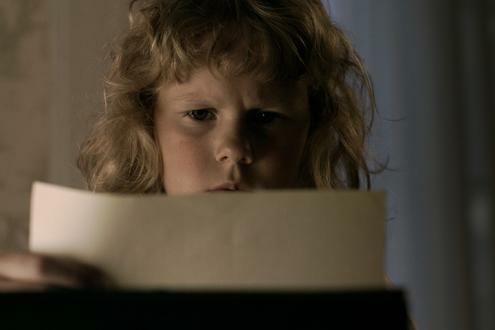 In it, a little girl who lived on a remote farm listens to her mother read letters that arrive from her absent father. The opening and reading of the letters is an important, eagerly-awaited event for the girl, until she finds that the letters do not actually contain the words her mother has been reading to her. 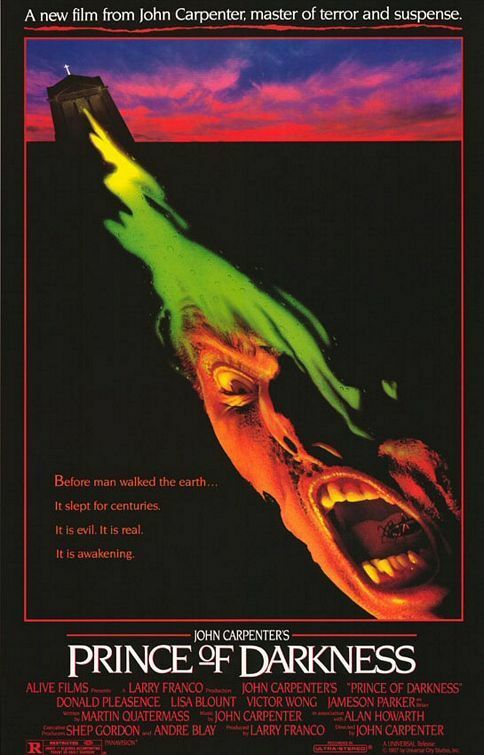 We stuck around in the main theater for Prince of Darkness, a late 80s horror film by John Carpenter. It's not one of his best, containing many awkward attempts at hipness or humor. Some of the occult content is really creepy and interesting, and I felt this was a film ripe for a remake. After the film ended at 11 PM we drifted outside to find Joe, who had been schmoozing for the past four hours, and also Mike Davis who had vacated the theater during Price of Darkness. We briefly debated going to the after party at Tony Starlight's Supper Club a few blocks down Sandy Boulevard, which had been the tentative plan. Everyone was tired, and Joe warned we should get an early start so as to snare a good table at the Cthulhu Prayer Breakfast the next morning. We headed home. Almost there (way out in outer SE Portland, so there was no way we were heading back into town again), I received a text from Alicia Graves (see activity at Lovecraft Bar Thursday night in previous entry.) saying she couldn't find us at Tony Starlight's -- where were we?! Everyone in our group was ready to sleep, so I resolved to text Alicia back in the morning. Before I actually fell asleep, Alicia texted again, and called twice in rapid succession. Why was she so insistent? Maybe she was stranded down there, and didn't have anyone to hang around with? Still, no way were we going back out. Sometimes the need for sleep refuses to be ignored. We wouldn't discover until the next day the reason for Alicia's insistence. She was part of a surprise someone was trying to spring on us, which we'd unwittingly thwarted by heading home.